Condo located at the corner and surrounded with the amenities of a stunning professionally designed interior. Just a quick nod to your left from the balcony you will find the endearing, challenging Robert Trent Jones II designed Riviera Maya Golf Course. This condo is the perfect home base for enthusiastic golfers. 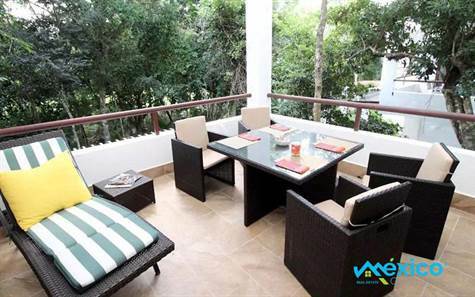 Two bedroom, two bathroom contemporary gem tucked away in the jungle. Located in a gated & golf course community.